Collaborate: to work jointly with others or together especially in an intellectual endeavor. Collaborative Evil returns...with more breweries and a bit of leeway. In 2008 three brewers decided to create a beer recipe and then brew it at their respective brewhouses. The beer a Strong Dark Belgian inspired Ale brewed with Honey, and spices. Each brew had a unique ingredient distinguishing it from the others. This effort was intended to get the beers to the Great American Beer Festival in Denver so that they could be served at the same time under one roof. Two of the three beers managed to get there and be served to the public, the third alas was there but not able to be judged or served at the time of the festival. The founding brewers Zac Triemert of Lucky Bucket Brewing Co. La Vista, NE, Matt Van Wyk of Flossmoor Station, Flossmoor, IL and Todd Ashman of FiftyFifty Brewing, Truckee, CA. In 2009 we've brought in six more breweries. The base style for this year is a Belgian inspired Strong Pale. The larger group presented some interesting hurdles and this also proved to be what this collaboration is all about. Working together but also working within the confines of each respective brewery. We have production breweries and brewpubs involved and some with tight schedules and others with lot's of play in the brewing regimen. We asked each brewer to create a beer based on the style and then make it uniquely their own but within the parameters of the 'Belgian inspired Strong Pale'. This was important because it demonstrates what people think of when you mention a style. Because one of the things we focus on in Collaborative Evil is entering the respective beers in the Great American Beer Festival. Entry guidelines forbid entering the same beer so creating a theme and then allowing each brewer participating in Collaborative Evil to spin-off their own beer based on our base style. Tough but not impossible and the interpretations are very spread out and will be fun for GABF attendees to seek out on the festival floor. The new participants are: Valley Brewing, Stockton, CA. Steve Altimari, Brewmaster, Sacramento Brewing, Sacramento, CA. Peter Hoey, Brewmaster, Fatheads Brewery and Grill, Cleveland, OH, Matt Cole, Brewmaster, Flossmoor Station, Flossmoor, IL, Bryan Shimkos Brewmaster(New Brewmaster), Oakshire Brewing, Eugene, OR Matt Van Wyk Brewmaster, Silver Peak Brewing, Reno, NV Brandon Wright, Brewmaster, Speakeasy Brewing Co., San Francisco, CA. John Gillooly, Brewmaster. Collaborative Evil was amazing! 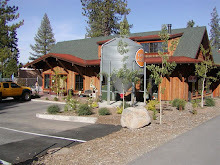 A few of us members of the greenbelt brewers association of davis CA just had a couple pints of it last weekend. Thanks and keep up the good work!